Our goal is to connect people with the best local experts. 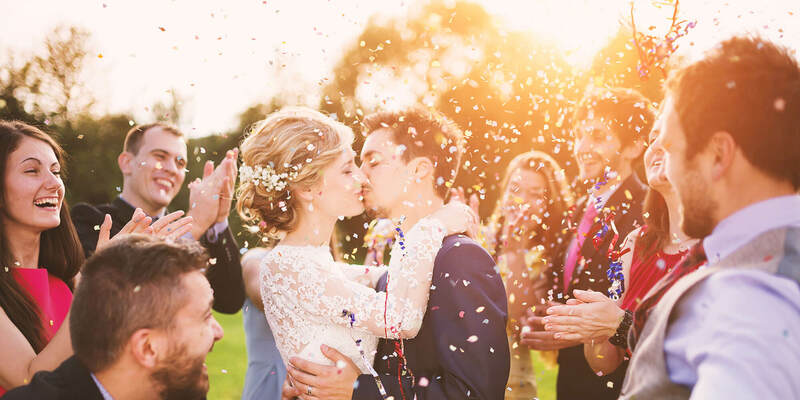 We scored wedding photographers on more than 25 variables across five categories, and analysed the results to give you a hand-picked list of the best wedding photographers in Toms River, NJ. Aria Photography provides services to northern New Jersey and prioritizes a creative approach to wedding and engagement photos. They offer two packages for couples which include at least one photographer, eight hours of coverage, high-resolution digital files, an album, and prints. During the ceremony and reception, the photographers at Aria Photography remain unobtrusive to ensure clients and guests are comfortable and relaxed to produce high-quality, natural photos. Aria Photography has been given the WeddingWire Couple’s Choice Award every year since 2014. Clients describe Aria Photography as professional, friendly, and flexible, and clients appreciate their attention to detail and artistry. Cat’s Photography is a photography vendor run by Cindi Tonkovich, a member of the Professional Photographers of America. Servicing Ocean and Monmouth counties in New Jersey, Cat’s Photography emphasizes a crisp, modern style that captures the unique quality of any event. The studio photographs and records special occasions like proms, sports events, weddings, dances, baby showers, bridal showers, and more. They offer a variety of services including family and individual portraits, real estate and landscape photography, and pet sessions. With her Visual Communications degree, Cindi Tonkovich is fully insured and offers clients a personalized experience designed to cater to their interests and needs. Color Me Beautiful Photography, LLC is a photography company in Barnegat, New Jersey. They specialize in wedding photography, and also offer portrait sessions, newborn sessions, and wedding sessions. They provide portrait sessions for couples, maternity, gender reveal, family portraits, children, and cake smash. Their portrait sessions include 60-90 minute session on location, a minimum of 60-80 edited high-resolution images, mobile ready gallery, and print release. Each of their wedding packages includes 1 photographer, mobile ready gallery, print release – edited high-resolution images, and consultations. They offer a complimentary engagement session. This photography company is a Wedding Wire rated business and has been featured in the Spring/Summer 2017 edition of Contemporary Weddings. Idalia Photography is a Howell business that provides wedding photography and newborn photography and has more than five years of experience. Jay and Alex are a husband and wife team and they work with clients to create personalized service on their wedding day. Clients receive a free engagement session with their wedding collection. Idalia Photography provides two photographers who supply full-day photography coverage. Clients receive a USB with high-resolution images and access to an online gallery. The business offers add-ons such as a photo booth that holds 10 or more people and leather-bound and linen albums. Alex also provides newborn photography. Clients remark on their responsiveness, organizational skills, patience, communication, flexibility, professionalism, talent, and helpfulness. Based on the Jersey Shore, Kelly Sea Images has been serving clients for more than seven years with its fresh brand of wedding and portrait photography. The studio photographers make sure to capture images that are both organic and candid, to record special moments as they happen. Sessions are on location. The studio normally covers New Jersey, but destination weddings and elopements in other locales are also welcome. A range of wedding packages is available for viewing online. All packages include two photographers, print rights, an online viewing gallery with high-resolution downloads of images offered free for guests, glass USB, and image processing. KSS Photography is a Sea Girt, New Jersey-based wedding photographer that serves couples throughout the states of New York, New Jersey, and Pennsylvania with high-quality photography services. Kiamarie Stone, the owner, and the head photographer takes pride in her talent to capture candid moments of her clients’ love, romance, and whimsical fun using nature and light. She loves to work with her clients and takes the time to get to know them. By doing so, she’s able to combine their ideas and her artistic photography to provide timeless keepsakes for her clients to enjoy for a long time. KSS Photography has been featured in various publications including Contemporary Weddings, Contemporary Bride, and Wed We Can. They are also a top-rated wedding photographer on WeddingWire with over 180 reviews. Photography by Desiree is a photography company in Toms River, New Jersey. Desiree has been a professional photographer for more than 20 years and has many years of experience in numerous facets of the field. They specialize in portrait photography, wedding photography, and event photography. They have photographed weddings, bar/bat mitzvahs, portraits, golf tournaments, journalism, advertising, car racing, and more. Photography by Desiree has also done aerial photography, school portraits, proms, sports, celebrities, bands, musicians, and pro sports teams, such as the NY Rangers and the Dallas Cowboys. Photography by Desiree offers a "not your normal" type of style. They proudly create unique relationships with their clients, enabling them to feel comfortable and relaxed during their sessions, without making them feel that "they’ve missed their day." PicsQuik is a photography studio on Pelican Island that draws on the owner’s more than three decades of industry exposure and professional experience. The company engages in portraiture, and it also offers commercial and industrial photography. The team works with various client types, and the list includes children and their parents, high school seniors, business executives, real estate brokers, marketing agents, interior designers, and event organizers. PicsQuik offers a range of packages to suit the customers’ requirements, and it gives one of the best satisfaction guarantees in the field. The shop welcomes inquiries 24/7, and its website features a portfolio and a sample listing slide show. Photography by Ron Pasquale is a photography company in Ocean County, New Jersey. Ron Pasquale is the official commercial photographer of PCS ProPhoto for Business. They are adept at both personal business photography. They specialize in portraiture photography, headshot photography, commercial photography, product photography, real estate photography, events photography, and more. They are also expert in vehicle photography and modeling photography. Their personal photography services include portraiture, celebrations and events, senior shoots, events and parties, and special sessions. Ron Pasquale will keep shooting until he captures the images his clients have envisioned. Photography by Ron Pasquale exceeds the expectations of their customers.